Card counting is a popular technique in blackjack history and the creator of this technique is Edward Oakley Thorp. Using this technique you can easily keep the record of the cards. Beat the dealer is the most popular book of Thorp and was published first in 1962 and the 10 count system was first revealed in this book. This was the first published mathematical blackjack technique and the odds is higher than others in this system. 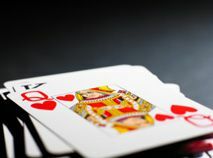 This technique is the base of many popular blackjack techniques. He has a master's degree in physics and Ph.D. degree in mathematics. When he was a professor of math in MIT, he has a friend named Claude Sharon and they used to play blackjack and roulette on every weekend. In that time he used his card counting theory and after getting better result he used to play game in casino and there he also got success and then he decided to write a book on card counting. Many casinos changed their rules after the secret revealed but people avoided the new rules to play blackjack, so they didn't have a choice but went back to old rule. Then they changed the 1 deck games into 4 deck shoe games which were accepted by the people. The second edition of his book published in 1966 where he represented a new technique named High Low Counting technique. This was more applicable than the older technique in the newer rules. Beat the Market was his next book which published in 1967. He also wrote column for many years in Gambling Times magazine. These columns were combined as a book named Mathematics of Gambling which was published by Lyle Stuart in 1984. Edward O. Thorp & Associates is his organization he was the founder and now he is the president of it. He lives in Newport Beach with Vivian (his wife). He also added as one of the members of blackjack hall of fame and this is a rare gift for him.